of the highest point in each of the 50 United States. Click a cam icon to see a webcam of that state’s highpoint. 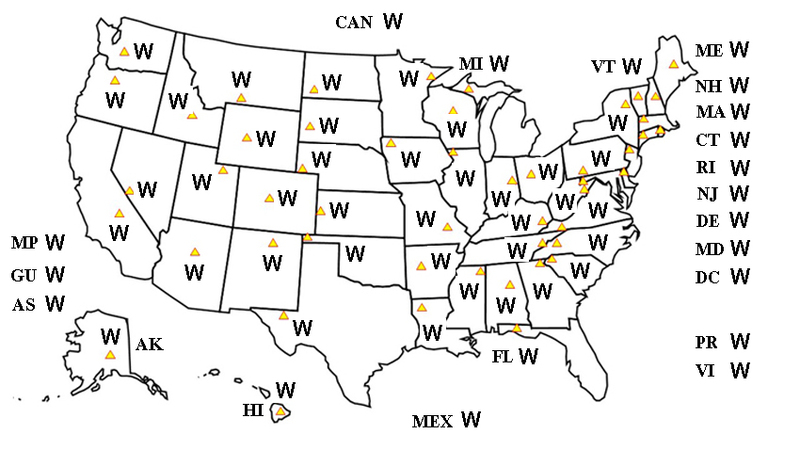 Click a W to see a current spot weather forecast for that state’s highpoint. DC and the five major US territories are also identified, plus Canada and Mexico's highest peaks.